Interesting that Joyce considered Leopold to be the Christian name of the Jew Bloom! He wouldn't get away with that slip in today's politically correct world. 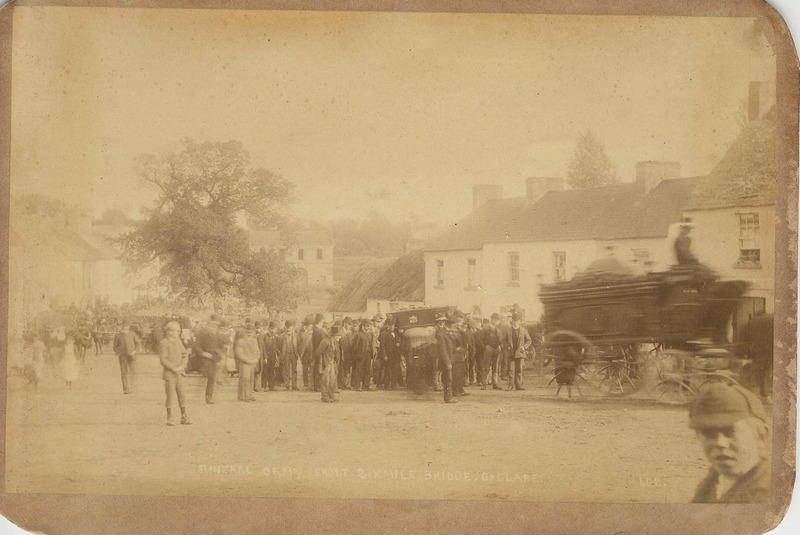 There is a decided lack of women in this photograph of the funeral cortege of Mrs. Frost of Sixmilebridge who died on 8 Oct 1888. That was quick! Many thanks. There were two people working on Killard parish (Doonbeg) over two years ago but there is still nothing for this parish on the website. Is the work still ongoing or have the results gone astray somewhere? Or did both stop thinking that the other was continuing?